Wi. M palé Kréyòl. Non. M pa palé Kréyòl (Yes, I speak Creole. No I do not speak Creole). Bonjou - Good Morning (Haitians enjoy greeting others. It shows you were well raised and had a good education). Ki jan ou yé Maten an? How are you this morning? E ou menm? And you? Kòman ou yé la-a? How are you there? Ki sa ou vlé? What do you want? Ki sa ou ap manjé? Ki sa wap manjé? What are you eating? Poukisa ou faché? Why are you mad? Konbyen Jwèt ou bezwen? How many toys do you need? Konbyen Timoun ki nan lékòl la? How many children are there at the school? Kilès ki pi fò? Which one is more intelligent? Which one is stronger? Annou Alé / Ann alé - Let us go! Let’s go! Ki sa ou pral fè? What are you going to do? Ki koté ou pralé? Where are you going? Ki moun ki grangou kounyé-a? Who is hungry now? A ki lè wap vini? At what time are you coming? Si Bondyé vlé - God willing, if God is willing..! Pa Kouri. Wa tonbé! Do not run. You will fall! Maché pon - just walk! Tout moun sé moun - Everybody is somebody! 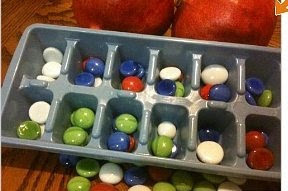 Gen / Genyen - To have. Example: M gen manjé - I have food. Ki jan ou rélé? What is your name? Kòman papa ou ak manman ou rélé ? What are your father and mother’s names? Sé tout pou jodi-a - That’s all for today! Buy Your copy of SakPaseLearnHaitianCreole's "Sak Pase? N-ap Boule Textbook"
Immortalize a friend, a family member, a boss or a pet. 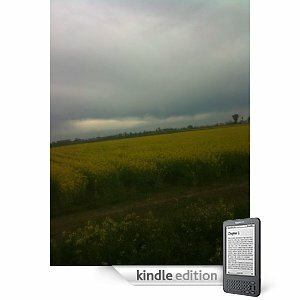 Get their names into the acknowledgment page of the ebook. 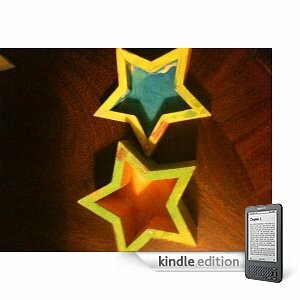 Find Find "Kreyol Pou Timoun, Haitian Creole for Kids at Amazon.com for 9.99. 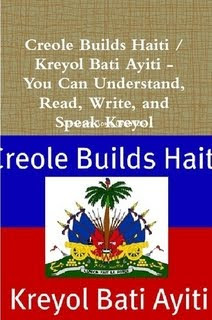 Find Kreyol Pou Timoun Ak Granmoun, Haitian Creole for Children and Grownups at Amazon.com for $9.99. 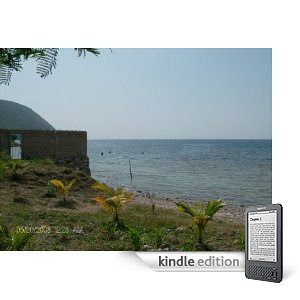 Purchase this textbook, 'Play Haitian Kay Game' at Amazon Kindle for $9.99 now. Now You Can Learn Haitian Creole via Skype if you are in the United States and Google Chat or Gmail Video if you are in or outside of the United States of America. Find out how you can do it at World Wide Haitian Creole Classes via Skype Call or Video. Speak Haitian Creole in No Time. Learn Haitian Creole on the Go with well-known author, educator, Mr. Joseph J. Charles, M.S. If you want dialogues and/or conversations via Skype, go to WorldWideHaitianCreoleClasses to sign up for Haitian Creole via Skype Call or Video, FaceTime etc. This is only good for Access to Pre-loaded MP3 Lessons related to Sa-K Pase? N-ap Boule Textbook. To have Access to the Online Creole lessons, you have to send us your email address after paying right here! SakPaseLearnHaitianCreole Blog presenta "Alo, Hola, Hello - Los Verbos y Las Palabras de Creole..."
How do you say This in Haitian Creole? - ¿Cómo se dice eso en Creole Haitiano? – Kijan Yo Di sa an Kreyòl Ayisyen? 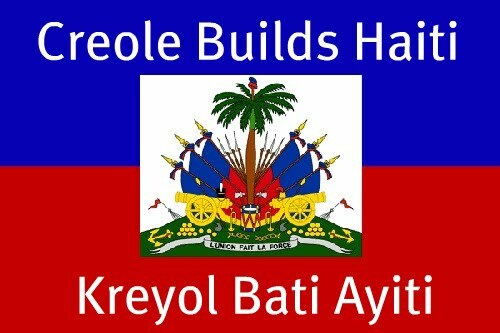 HaitianCreoleMP3: Learn Haitian Creole in No Time! The wait is now over for all of you who have been writing to me about a textbook that should accompany this podcast. All along, you have wanted to follow with us. Here is your opportunity to reap lots of benefits from this podcast. By purchasing a textbook, you will be able to follow specific lessons from the textbook. There will not be any needs to post the vocabulary on a blog. Thanks for your wait. It nows pays off. 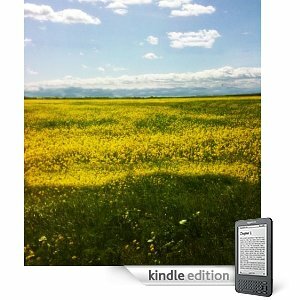 If you can not wait to have this book, you can purchase it right here. The text will be delivered by email. And it will cost you much less! French for English and Creole Speakers!...is a French textbook written specifically to give you as well as all beginning, intermediate, and advanced learners of French the support you need to master this beautiful language. This textbook comes equipped with a podcast and a blog that provide you with ongoing support pertaining to pronunciation and explanations of cultural artifacts. 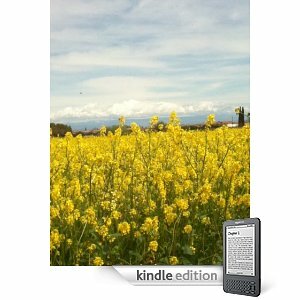 In this book, you will find cultural notes, rules of thumb to avoid major faux-pas, and lots of exercises to help you have mastery over key language patterns, structure, and phraseology. Disclaimer: The above learning materials, book, and related podcast audio files included therein are produced by the same author/producer. The author/audio producer agreed and chose to release some of them free of charge to promote the learning of Haitian Creole and Haitian Education in Creole. All other brands and copyright are only used for lesson purposes and clearly belong to their owners. 1990-2020 Copyright. HaitianCreoleMP3 Podcast, EZHaitianCreole, SakPaseLearnHaitianCreole and any podcast and Haitian Creole lessons published and posted at http://haitiancreolemp3.libsyn.com and http://sakpaselearnhaitiancreole.blogspot.com may not be reproduced, copied and/or used commercially without the consent and authorization from Mr. J. J. Charles.